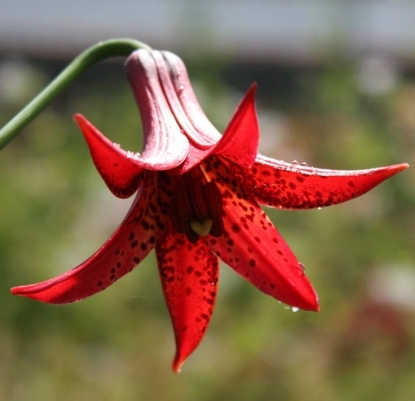 - Shipped dormant only from early September through April.- On 2-4' stems, produces up to 12 medium-sized, fragrant flowers with strongly recurved petals (Turk's Caps). They are white and prominently spotted purple. 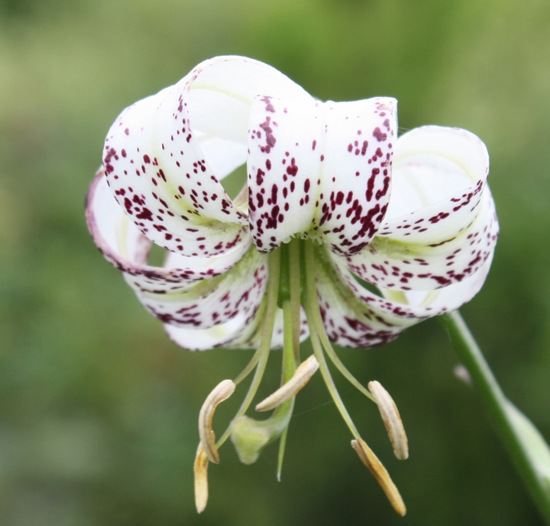 A rarely offered species that is easy to grow in a good garden soil. 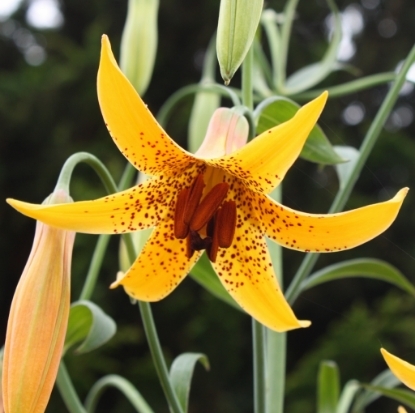 Like most lilies, it likes it moist until and during bloom; thereafter the soil can be allowed to be drier. If happy, grows into nice little colonies. 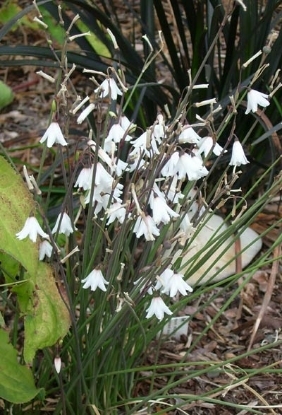 Shipped as bare root bulbs earlier in the season and in pots later.